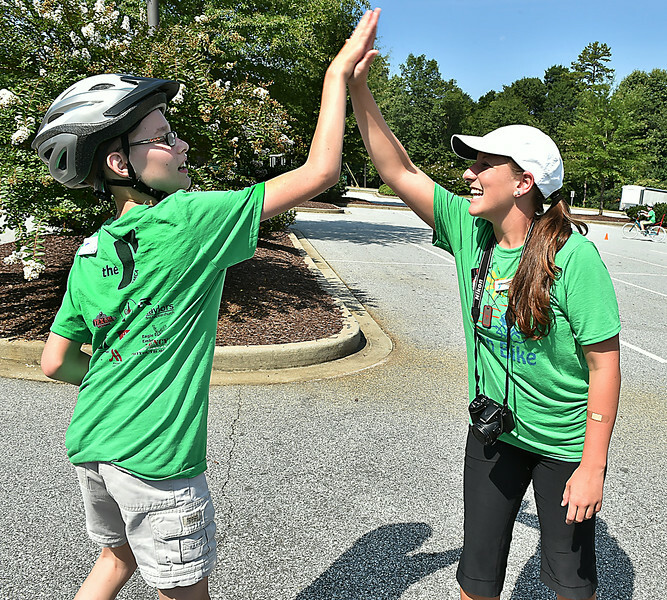 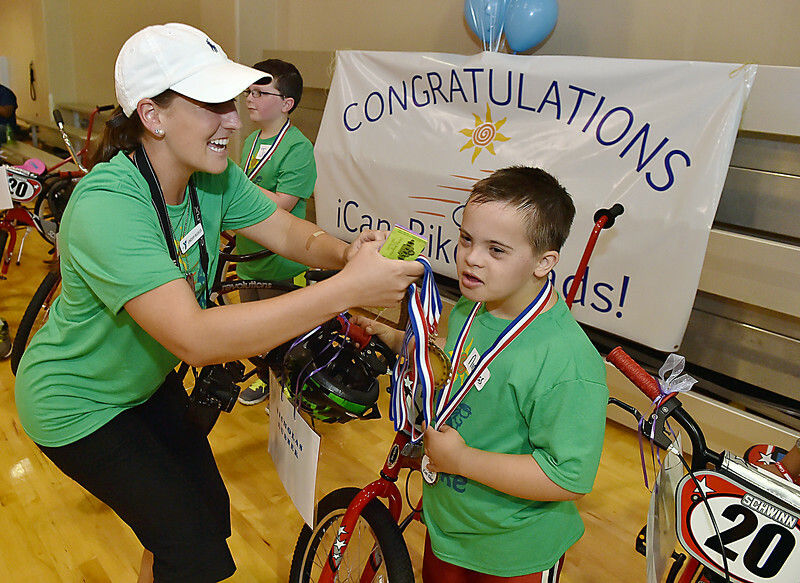 iCan Bike graduate Jacob Santoro gets a high five from YMCA Development specialist Lindsay Buckles. 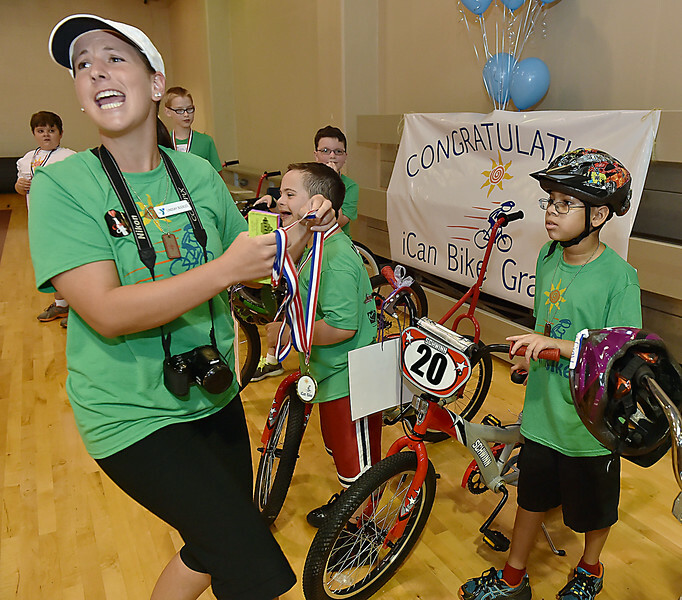 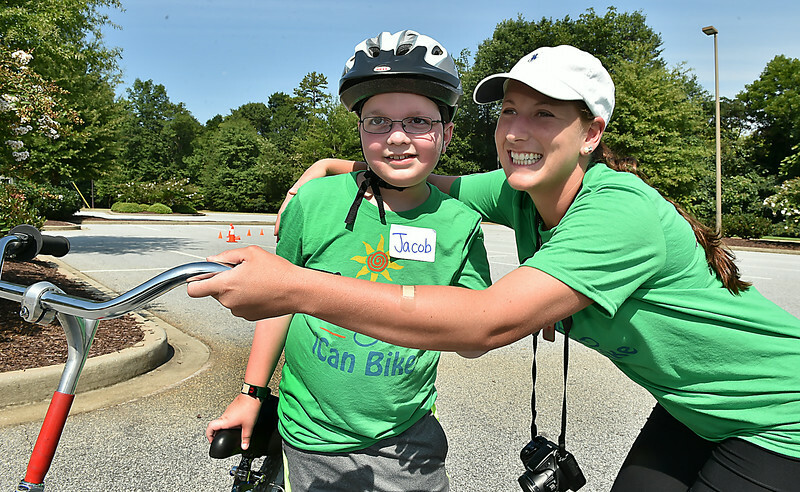 Local children participated in the iCan Bike program designed to give children with disabilities the training they need to ride bikes without training wheels. 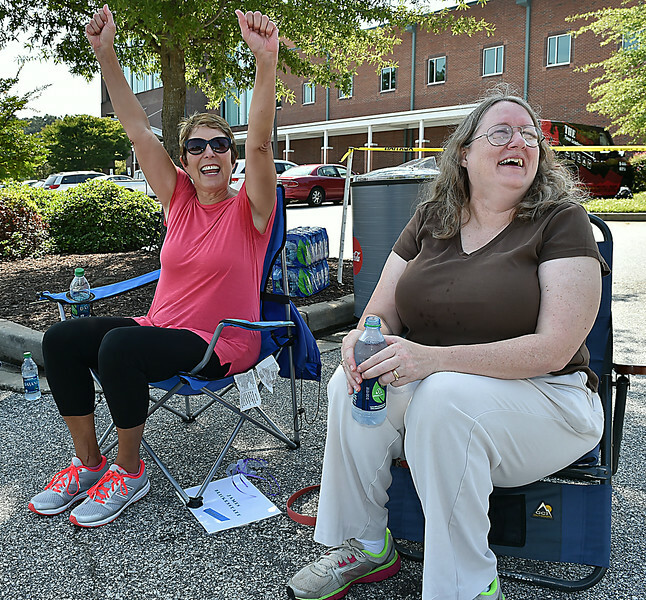 at the Taylors First Baptist Church on Friday, August 15, 2014. 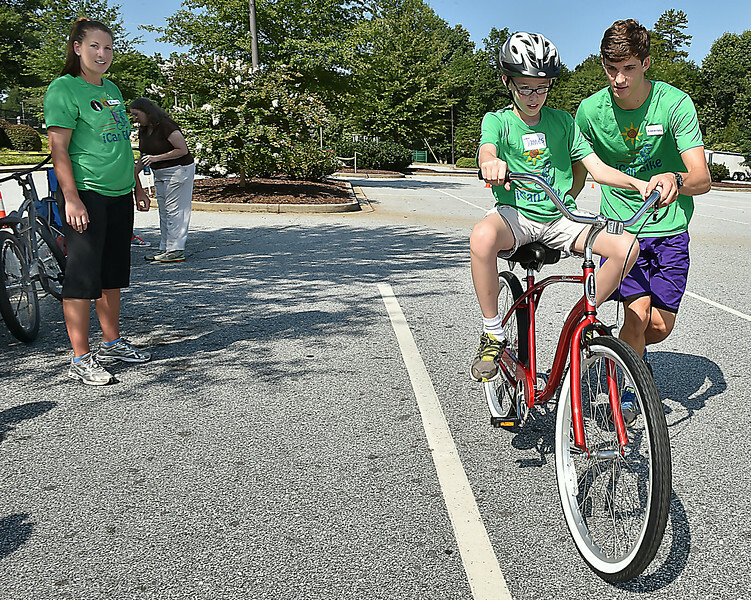 Volunteer Alexander Powell mentors James Blickenstaff on the bike as YMCA Development Specialist, Lindsay Buckles looks on with pride. 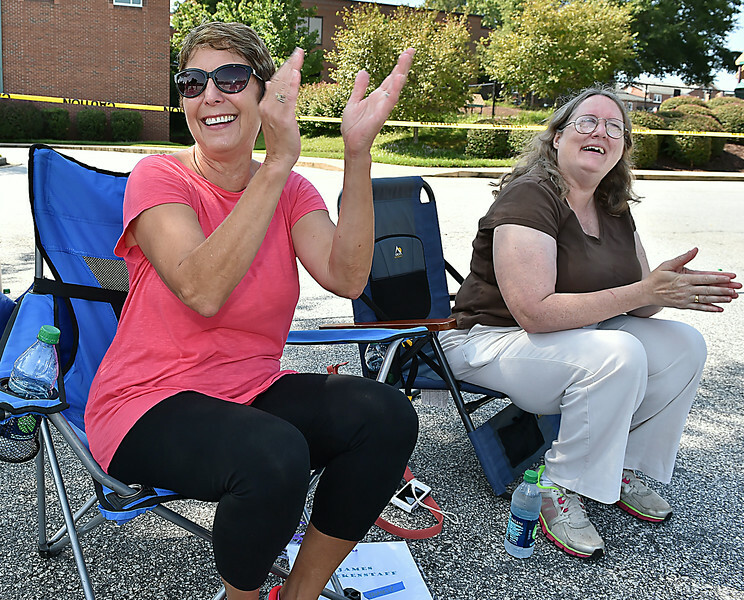 Nancy Malone, left, and Debra Blickenstaff look on with pride. 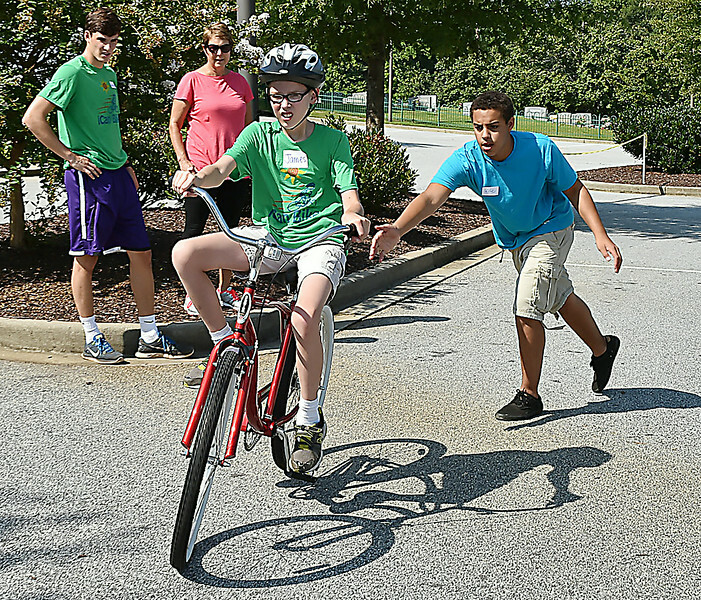 Volunteer Kyle Rigler mentors James Blickenstaff on the bike as volunteers look on with pride. 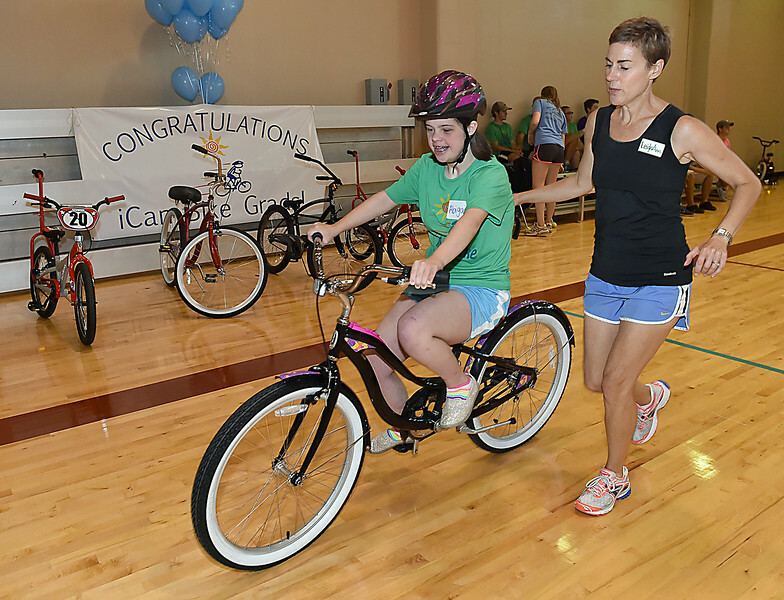 Mentor Leigh Ann Huffstetetler works with Abigail Robinson. 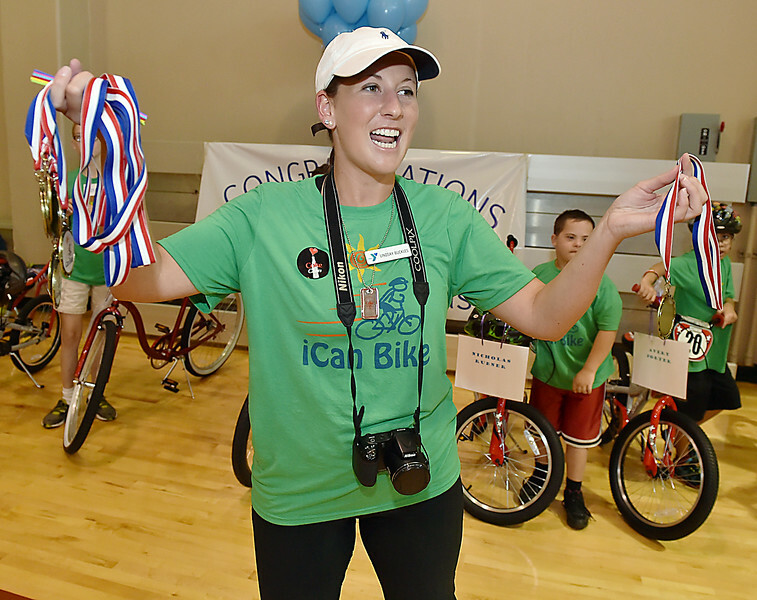 YMCA Development Specialist Lindsay Buckles gives all the graduates Gold Medals. 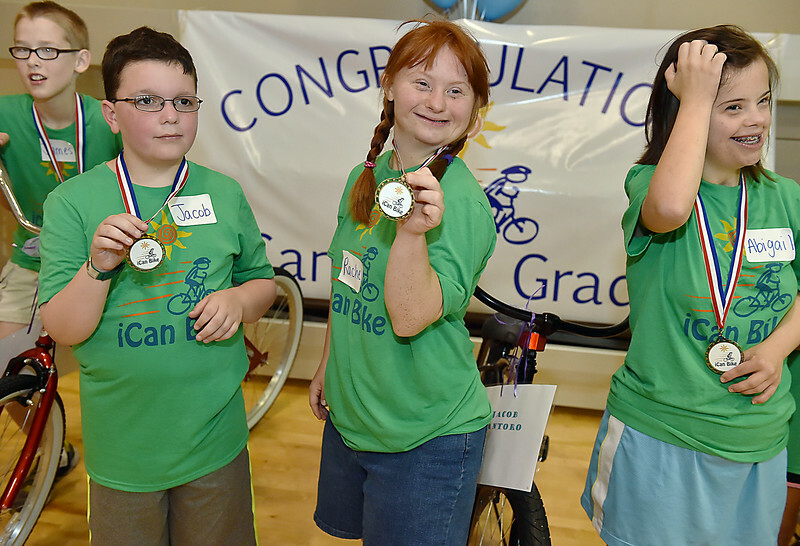 YMCA Development Specialist Lindsay Buckles gives all the graduates Gold Medals, including Jacob Santoro, left, Rachel Lewis and Abigail Robinson. 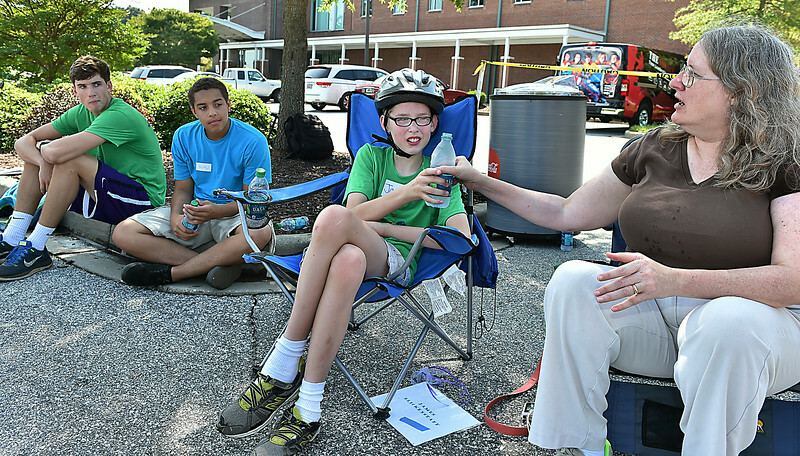 James Blickenstaff takes a water break with his mom Debra Blickenstaff and volunteers Alexander Powell, left, and Kyle Rigler. 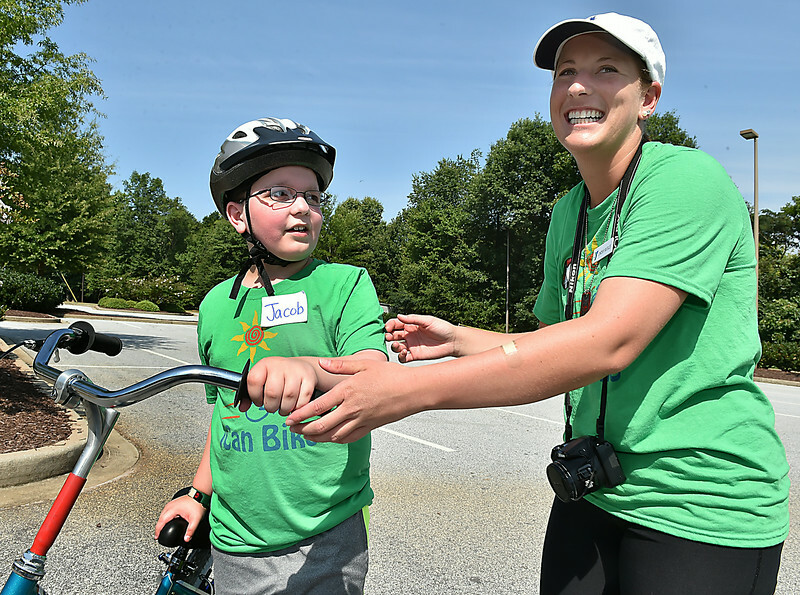 iCan Bike graduate James Blickenstaff gets a high five from YMCA Development specialist Lindsay Buckles. 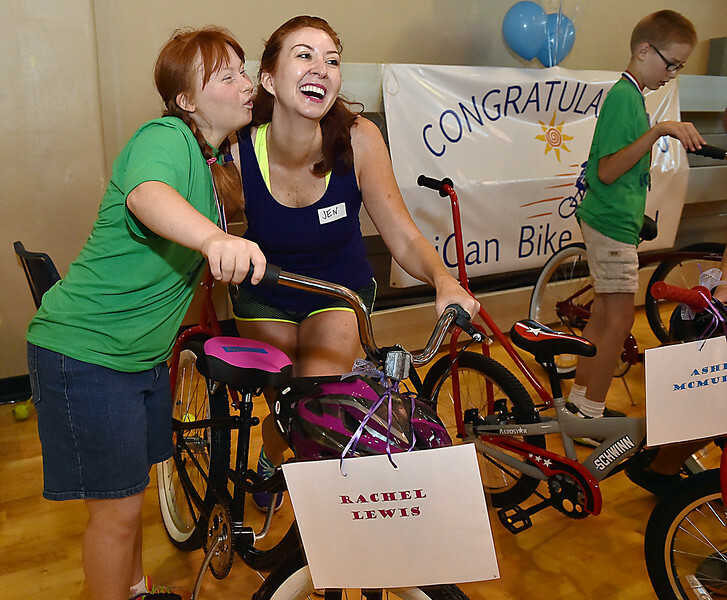 Rachel Lewis gives her mentor Jen a kiss of thanks.